A good friend who’s travelled almost as much as I have has a saying: There are one-day cities and weekend cities and then there’s Hong Kong, that’s worth a week. I agree wholeheartedly. 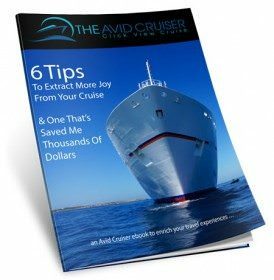 If you can swing it before or after a cruise, it’s worth trying to spend at least three days to explore the place where east and west blend most amazingly. At that, you’ll only be scratching the surface of this oh-so busy city that may be small in area but is vast in its variety. Arriving in Hong Kong after a two-week cruise in Thailand and Vietnam on Oceania Cruises‘ Nautica, I found that unlike many other places where the recent economic turbulence put a crimp on the partying, Hong Kong never missed a beat. In fact, they’ve picked up the tempo, with a bevy of new attractions and dining and dance venues. Here’s a sampling of freshly opened world-class treats you should sample on your next visit. Be warned, it will turn you into a night owl. For decades there was this intriguing mystery when you walked by the busiest intersection in Kowloon, Like a sleeping beauty, a white colonial-style building sat abandoned atop a hill, behind forbidding fences, surrounded by soaring trees and covered in vines. All this was at the corner of bustling Salisbury Road and Canton Road and just a block east of the constant swirl of activity at the Star Ferry docks. Now, the mystery is solved. What had been the former headquarters of the Hong Kong Marine Police from the 1880s to 1996 has finally come back to life as a hotel and the Victorian centrepiece for a new mall and exhibition centre. Wedding parties seem to be waiting in line day and night to have photos taken with the elegant backdrop that includes a forest of century-old trees the mall’s planners managed to protect in the rebuilding. A honeycomb of stores built on the hillside have become the prestige address for many of the city’s top designers. A little secret is that the gorgeously colonnaded headquarters building, which has become a luxury inn and restaurant, doesn’t actually date from 1881, but rather 1884. Because four is an inauspicious number in Chinese numerology, they chose a more prosperous sounding 1881 as the founding date. At 118 storeys, International Commerce Centre at the edge of the harbour in West Kowloon is by far Hong Kong’s tallest and it ranks as the third-highest commercial high rise in the world, after the Burj Khalifa in Dubai and Shanghai’s World Financial Centre. 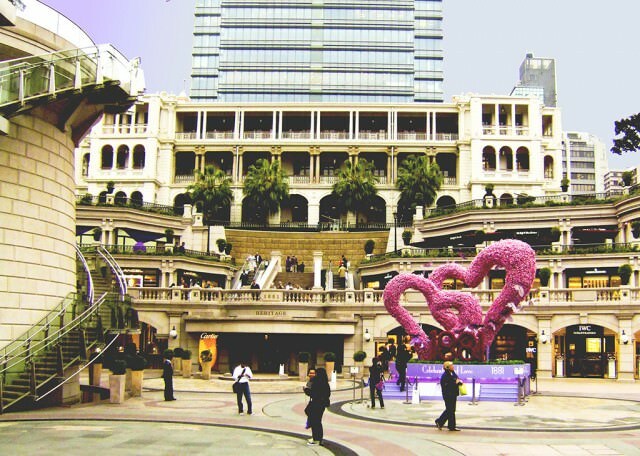 It’s the heart of an area that had been restricted in the heights of buildings because it was on the flight path to Hong Kong’s former Kai Tak airport, that was closed and replaced by the new International Airport. The Kai Tak area is being transformed as a shopping and financial district. The newly opened ICC’s observation deck and restaurants have a remarkable panorama of Victoria Harbour and the Central side of Hong Kong. The upper 15 stories of the tower include the newly opened Ritz Carlton hotel, the most lofty hotel in Asia, whose guests will be able to look down on the tops of clouds. Every had the entire staff let out a cheer when you enter a restaurant? It happens in Busy Suzie, a new restaurant in a converted harbor lighthouse that’s designed to feel like a kitchen in an ancient Chinese fishing village. The chefs dressed as fisher-folk cook the day’s catch over fires in the center of the restaurant using rowboat oars as spatulas. Orders are chirped by the staff to the chefs in a sing-song that gets picked up and elaborated on by the servers and even the diners. The paddle grilling is known as robatayaki and the menu also includes sushi and teppanyaki and a vast selection of innovative Japanese style appetizers. The place is so theatrical that the menu even includes credits for the costumes and shoes, but, yes, the food is still the main event. It’s at 2A Canton Road, (852) 2369 0077. Cépage restaurant, which opened last year and has already won a Michelin star, has added an option to dine on the edge. 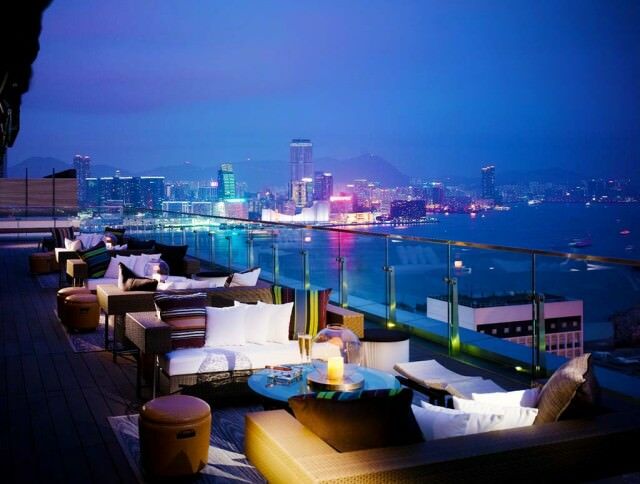 The Barcépage rooftop bar in Central Hong Kong has panoramic views of Admiralty and Wanchai. The bar menu includes canapés such as Panko bread crumb-crusted pigeon leg stuffed with foie gras, with black truffle mayonnaise. You can also opt to order from Chef Thomas Mayr’s main menu, such as the house signature dish: a wonderfully simple but satisfying celeriac and Japanese organic egg yolk ravioli with truffle jus and Japanese mixed mushrooms. It’s at 23 Wing Fung Street (852) 2861 3130. 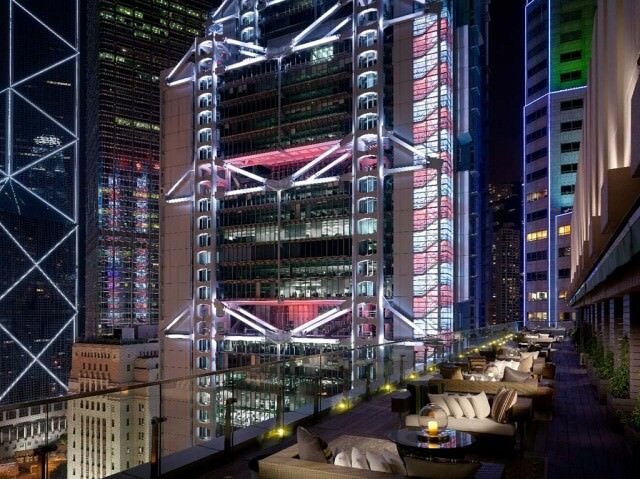 There’s no more dramatic place to drink in the view of Hong Kong’s night skyline than the roof top of the iconic Princes Building in Central. Sevva is pronounced “savour” by the staff, and its tables let you sit right on the precipitous edge and sip a cocktail in the midst of Hong Kong’s nightly sound and light show. 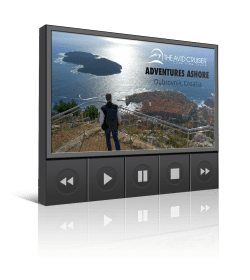 You’ll be surrounded by television personalities, film makers and deal makers. It’s on the 25th floor at 6-14 Chater Road at Ice House Street, 852 2537-1388. Paging Mr. Bond, Mr. James Bond. Straight out of London club life of the 1970s comes Tazmania Ballroom, a billiards club meets ballroom from the flamboyant, Canadian-educated restaurateur Gilbert Yeung. It was just named the best international bar by the prestigious UK-based Restaurant & Bar Design Awards. The dark clubby feel begins with a bronze mirrored staircase to the room with a long bar. A pool room converts in the evening into a dance floor and the action spills out into to outdoor terrace with music served up by DJs who conduct the scene from an elevated booth. The bar menu includes several house Champagnes and cocktails and a multi-page wine list, served by waiters wearing outfits by Fred Perry and Doc Martens. Canapés are complimentary between 5 and 8 nightly. 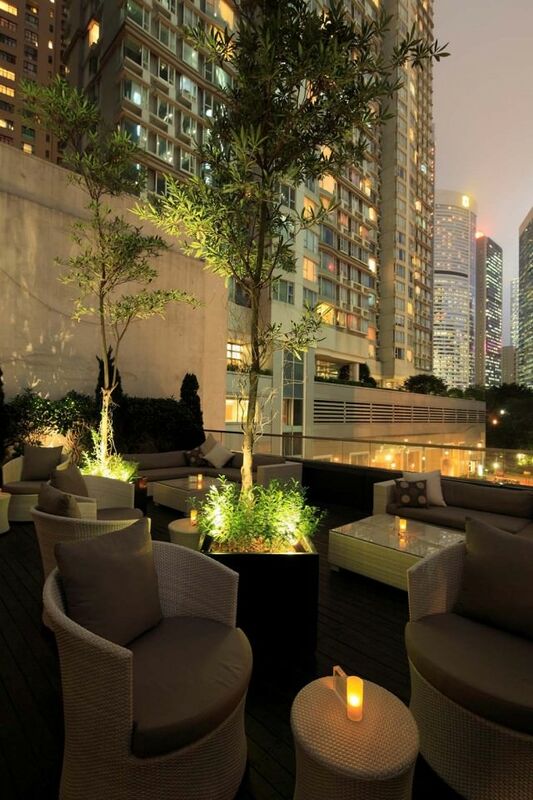 It’s in Central at 1/F, LKF Tower, 33 Wyndham Street, (852) 2801-5009.